Graves of American heroes. Cheppy, Oct. 12. It is folly to think that all of the dead could be identified. 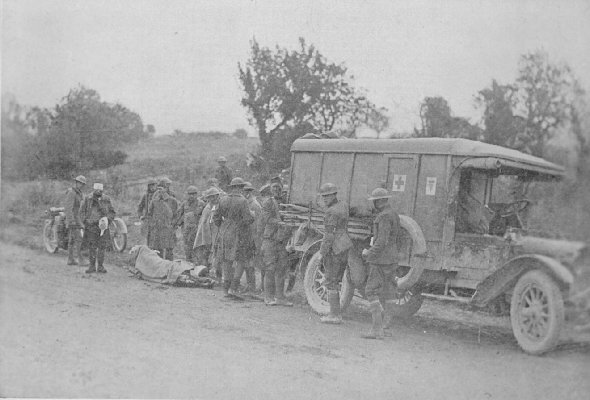 The 27th Ambulance Company, 3rd Division, Receiving Wounded Near Nantillois. 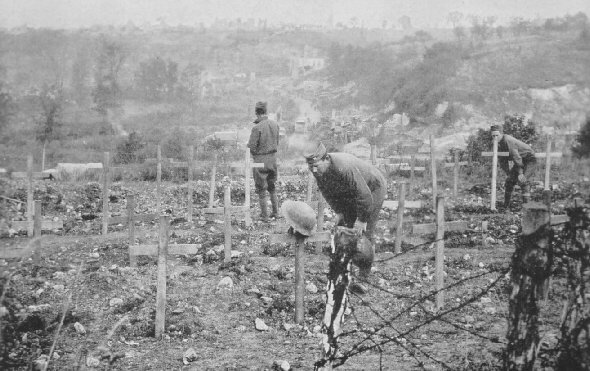 These men were either gassed or wounded by shrapnel or machine gun fire. During the forty-seven days' of battle, a constant stream of wounded were carried and helped to this station, where they were put into ambulances and rushed to hospitals. Many of these men are members of the 5th Division, which relieved the 80th Division, nantillois, October 12, 1918.